So you traveled across the galaxy to enroll in Rebel pilot school, but you're finding out that the social life on your new planet is a little bit tougher to get the hang of than you thought. Try this Cosmic Ship Toss Skater Dress to make a good impression on the scene. 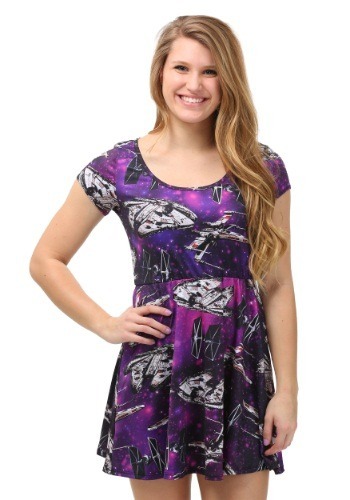 With an all over print of the Millennium Falcon, an X-Wing, and a TIE fighter duking it out, it will show that you know a thing or two about flying starfighters, and that you have a supreme style sense as well. 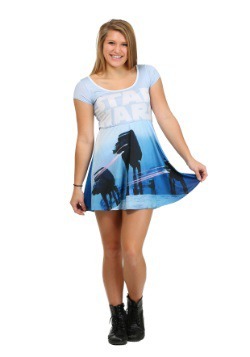 Pick up this licensed Star Wars dress for your time at the academy, or even to enjoy right here on earth! 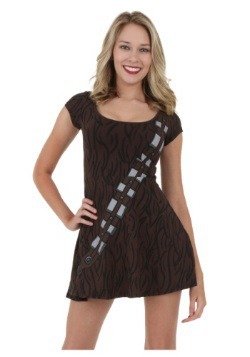 Small - £26.99 Only 4 left! Medium - £26.99 3X - £26.99 Only 1 left!